Here’s a film where the viewer is clearly drawn into complicity with a character’s on-screen misdemeanours; the first in a two-part biopic about notorious French criminal Jacques Mesrine, the relentless lightning-fast pace of Killer Instinct is only lightly abated by moments of quiet and stability, and when they do come so too quickly comes the desire to see the film return to action and violence, regardless of who is on the receiving end of it. This is a film based on real events, those shown being killed likely to be analogous to real people, and its central character, while certainly charismatic, is ultimately shown to be shallow and dislikeable – but within the confines of this thrill-ride of a film his criminal exploits make for compelling viewing. Celebrated by some as a loveable anti-establishment rogue, the life of Jacques Mesrine points to a rather different story: a career criminal with a history of murder and armed robbery, a series of high-profile kidnappings and audacious prison breakouts saw him come to be labelled French ‘public enemy number one’. Like John Dillinger before him, with this label came an aura of outlaw-chic, and this along with a certain amount of self-aggrandizing publicity saw him achieve fame in his country’s popular presses as a kind of Robin Hood-like figure. The legend, though, bore little real resemblance to the cold-blooded reality; his mythmaking was rooted in the same kind of rose-tinted romanticism which deified common thugs like the Krays as underworld gods. Mesrine’s martyrdom was assured when he was eventually ambushed and machine-gunned down by the police in what was widely viewed as a state-sponsored assassination, and it is this bloody demise which is the starting point of this first instalment. From the kitsch Bullitt (1968)-style split-screen presentation of these opening scenes one might be forgiven for thinking that what is about to follow is going to veer into hagiography, slavishly feeding into all of the mythology surrounding his name. What could be a more classically cinematic scene than the gun-toting icon stepping into a sports car with a glamourous girl by his side, only to be stopped in his tracks in a hail of gunfire, every bit the tragic hero? Following this opening scene, Richet’s film then goes on breathlessly to recount episodes culled from Mesrine’s self-penned book Killer Instinct. We first have a glimpse of his formative years in the French Army in Algeria where he is drawn into torturing and killing prisoners, a hellish world far removed from his well-to-do suburban upbringing. Back in Paris sometime later, he is introduced to Guido, a gangster figure much more paternal to him than his biological father, and he begins to be drawn in to the underworld, committing ever-increasingly violent but lucrative endeavours. From here we are then catapulted into a cycle of crimes and incarcerations on both sides of the Atlantic. The most immediate net reaction to the film is one of exhilaration; Mesrine’s life story makes for thrillingly cinematic viewing, and Richet’s direction guides us through it with the freewheeling storytelling ease of a Goodfellas (1990) and the gritty visual dizziness of a The French Connection (1971), quite the potent combination. 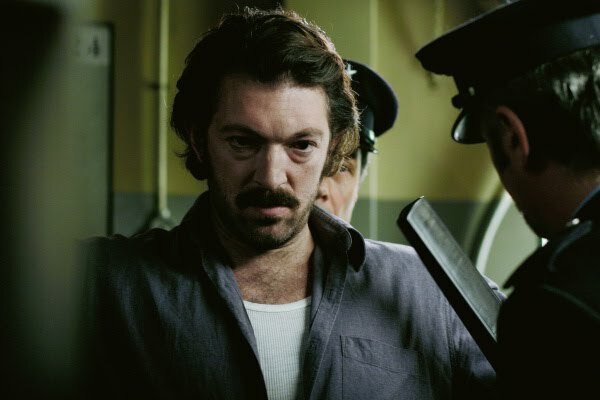 Vincent Cassel, in the lead role and the one constant presence in the story, is given the task of anchoring the film and does so with effortless aplomb; his Mesrine alternately wriggles, snarls and charms his way through whatever he encounters, and though he bears little resemblance to his real-life counterpart this is quickly forgotten. His ability to turn on a sixpence from suave ladies man to bulging-eyed monster prevents the speed of the narrative leading to incoherence. The main question outside of the film’s aesthetic pleasures, though, is just what does the film want to tell us about such an emblematic but problematic enigma? Lives of crime have, of course, long been brought to the screen from the pre-Hays Code gangster classics like The Public Enemy (1931) and Scarface (1932) onwards, and along with them have always come accusations of varying rabidity suggesting that said films glamourize such lifestyles to the point of making them morally justifiable and eminently desirable to the audience. It is an old argument which has a habit of resurfacing periodically, and one which has coloured a certain amount of the critical reception to Richet’s pair of films. Yet with such a narratively straightforward film this becomes something of a complex question; there is an emotional obliqueness to the Mesrine of Killer Instinct; the narrative seldom slows up for long enough to dwell on either his material status or the consequences of his violent lifestyle before hurtling into another action-packed incident. Strangely, I was reminded of Steven Soderbergh’s Che (2008) biopics, tonally very different pieces of work, but both notably unwilling to offer anything in the way of inner psychological insight into their subjects. I am not suggesting that Richet has anywhere like the reverence for Mesrine as Soderbergh has for Guevara, but both seem to be more interested in outside perceptions of their biographees rather than trying to hit on any internal truths. The other consequence, though, is that if the story doesn’t pause long enough to illustrate any great emotional depth, then neither does it have time to dwell on the very real moral and physical consequences of his lifestyle. Along the way of his remarkable story, there are shown the familiar items of glamourous criminal iconography in Mesrine’s lifestyle: a globe-trotting itinerary, guns, fast cars and of course women. At the same time these are shown to be always transitory elements in what time he spends outside of the series of ever-increasingly oppressive prisons he comes to occupy. Women come and go: a prostitute he has been conducting an affair with meets with inevitably violent consequences, a Spanish wife finds herself unable to live with his criminal lifestyle and falls victim to his violent behaviour. Eventually comes along Jeanne, a woman with an equal taste for the seditious life, Bonnie to his Clyde, but even their relationship is tinged with fatalism. Nor do the financial rewards seem great: Mesrine is hardly shown to be enjoying anywhere near the likes of Tony Montana’s material wealth. The film, then, is neither a straight hagiography nor an outright condemnation. Though only lightly touched upon, the filmmakers have chosen to show how Mesrine was to a certain extent shaped by the wider politics of mid-twentieth century France: his early exposure to nihilistic violence in Algeria, the influence of Charles De Gaulle’s troubled premierships and Mesrine’s subsequent dalliances with the extreme right wing OAS group, and then his apparent politicization as a result of the barbaric prison regimes he suffered under. As the story progresses we do at times see him attempting to forge a life for himself outside of crime, only for economic or political circumstances to tempt him back in: while this is shown to be more than partially a personal choice of his, nevertheless he is also shown to be significantly straightjacketed. Killer Instinct pays homage to Scorsese both visually and narratively, but so too in terms of its central subject matter: a dislikeable sociopathic misfit who achieves popular fame through violent means. There is a touch of Travis Bickle, Jake LaMotta or Henry Hill to Jacques Mesrine, but most tellingly there is also something of Rupert Pupkin from The King of Comedy (1983), Scorsese’s ever-prescient satire of the nature of modern celebrity. In presenting only what seem like cold facts about Mesrine’s life, Richet’s film allows the audience to confer him an heroic status. This, I think, is why I think the film is so effortlessly entertaining: watching Mesrine’s amoral exploits goes to the heart of the perversity at the core of our voyeuristic, vicarious love for crime and criminals: a love divorced from bloody reality and instead steeped in detached spectacle.